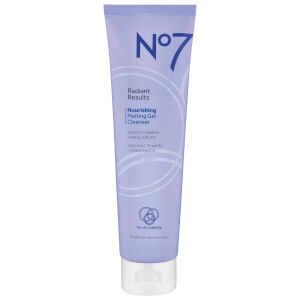 Clarify your complexion with Boots No.7 Radiant Results Purifying Foaming Cleanser, a gentle formula that delivers a deep-cleaning effect. Powered by the brand’s Tri-Vit Complex and Meadowsweet, the makeup remover creates a luxurious lather that melts away dirt, excess oil and pollutants to leave the skin refreshed and clean. Delving deep into pores to create a smooth and refined surface, the cleansing foam reveals healthy-looking results. Massage into wet skin and rinse away thoroughly with warm water.